Frauke Behrendt conducts research into the experience of urban space via mobile media; focusing on interactive art, music and sound projects that experiment with this experience. She is currently finalising her PhD (DAAD funded) at the Department of Media and Film Studies at the University of Sussex, (UK), is on the steering committee of the International Mobile Music Workshop and is the German delegate for the European Action on Sonic Interaction Design (SID). Her book “Handymusik. Klangkunst und ‘mobile devices'” (“Mobile Phone Music. 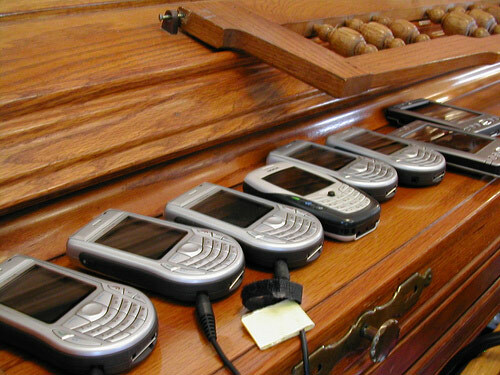 Sound Art and Mobile Devices”) has been published in 2004. Frauke’s research is published in English and German, and has been presented at various international conferences such as NIME and ISEA. She is a member of the “Centre for Material Digital Culture” and of Richard Sennett’s “NYLON Culture and Society” Seminar. Her blog about sound, mobile media, art and culture is at http://mobilesound.wordpress.com/.